Have you been meaning to go to the dentist for ages and don’t even seem to have the time to make the appointment? Are you thinking of getting dental treatment carried out but not sure where to go nor how nor when? Do you want that dental check-up done but fearful of going to the dentist? Canary Medical Key is here to help you settle all these matters that are preventing you from going to the dentist and solving your dental problems. Are you not able to find time to go to the dentist? There is a solution: take advantage of your vacation to do it. It’s an excellent opportunity to get your dental treatment carried out, as a vacation mean it’s time to relax, disconnect from your job and seek well-being. What better way to arrive home after your trip than with your energies renewed and your dental problems over? Are you not sure where to go and have doubts over dental clinics owing to lack of information? No need to worry. We make it our job to compile all the necessary information for your particular case. 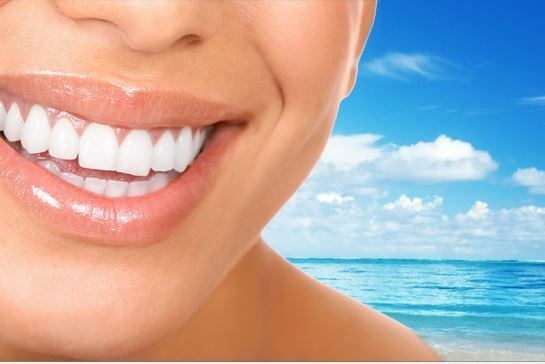 We have over twenty years’ experience in the medical field and we know the exact expertise of the dentists who offer their services in the Canary Islands. Those on our files are exceptionally well qualified, with modern clinics equipped with the latest dental technology. We can help you make your decision by providing you with details of each and every one of the dental clinics suitable for your case. Have you not yet managed to get over your fear of the dentist? We are aware that many people are scared of going to the dentist owing to a number of reasons, however, it is something that can be overcome. We recommend you read our article about fear of the dentist which lists several suggestions that may help convert your visit to the dentist into a more pleasant and less stressful experience. There is a solution to all your doubts, problems and fears. 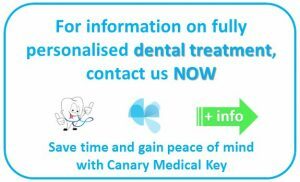 Put your trust in Canary Medical Key and enjoy your dental vacation to the Canary Islands: a unique destination in Europe for combining dental tourism with a wonderful holiday.